Saw these here: [MOTO X] Have you seen this yet? | The Verge Forums (in the comments) and I hadn't seen them here so I thought I'd post them. Looks like a ~4.7" screen size, but the small bezel makes the device as wide as my 4.3" GSII. Gamer_Radar, lets_go_android and sanktheboat like this. Definitely looks like my ideal screen size, and is one of the main reasons I'm strongly considering this phone. I'm still waiting to see how thick it is though. Some pictures make the phone look bulky, but there has yet to be a good shot of the phone from the side. Seems perfect! While I do agree around 4.3 is the best ideal, it is a little small. 4.7 is pretty good. 5" is overkill. 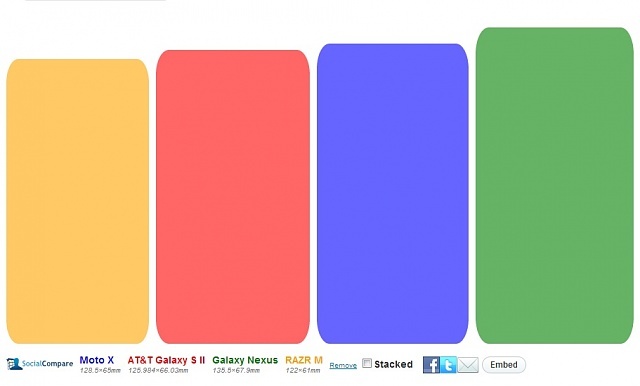 Here's a size comparison of the Moto X with some other notable devices. 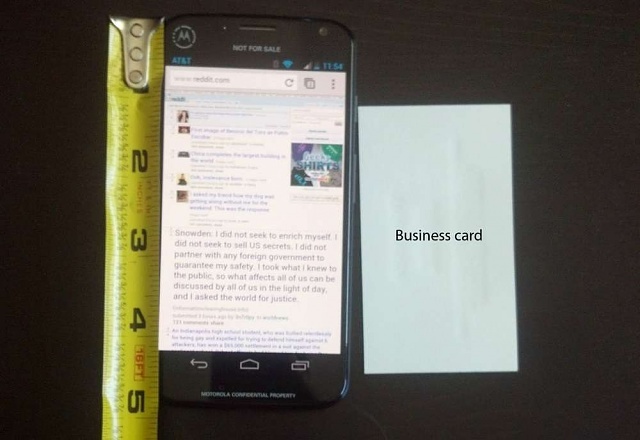 The dimensions were found in the FCC documents that have been popping up. RobUM2011, sanktheboat, Aquila and 1 others like this. It's a shame that there is so much top bezel on the X and a little extra on the bottom. Obviously internal components dictate that, but a little less on the bottom and a lot less on the top and you would have quite a small phone with a big screen. Still it will probably feel smaller then my GNex so that's ok.
edit: Thanks for the comparison! If its smaller than my S3 that would be nice. The S3 is just a little too big. 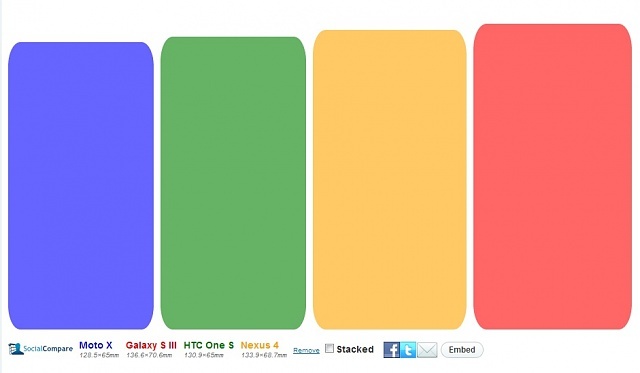 I had HTC One S which I believe a much better fit for me than the S3. I wonder how big is the battery if it is internal could it be over 2500mah would be nice. This phone running close to stock android with 720p display I would hope the battery life would be great. I shooting for the battery life to between a S4 and Note 2. If battery is not internal then I want a slim extended battery option. That's awesome! Thanks for the size chart! I've always felt that my GNex was just a tad to big. If I can get a smaller form factor but keep the screen size, that offers up more stretching distance. Please oh please have an unlocked bootloader!! 4.3" screen would be nice. I prefer smaller screen sizes for mobility like the iPhone 5's 4" screen. 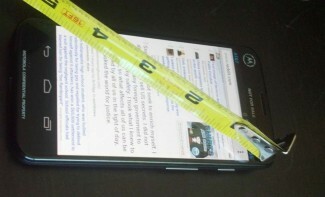 And I think 4.7" is too big--big reason why I haven't bought a Nexus 4. Here's another comparison for you guys with some other recent phones. I'm happy to say that of all the devices listed thus far, the Moto X is only looking to be bigger than the RAZR M.
I'm using these websites if you're interested in comparing the dimensions of other devices yourself.